CMS COP 12 delegates visit Las Piñas – Parañaque Wetland Park at LPPCHEA – The Society for the Conservation of Philippine Wetlands, Inc.
Delegates to the 12th Conference of Parties of the Migratory Species (CMS-COP12) visited on 27 October 2017 the Las Piñas – Parañaque Wetland Park at the Las Piñas – Parañaque Critical Habitat and Eco-Tourism Area (LPPCHEA) where they were treated to a tour and bird-watching activity. 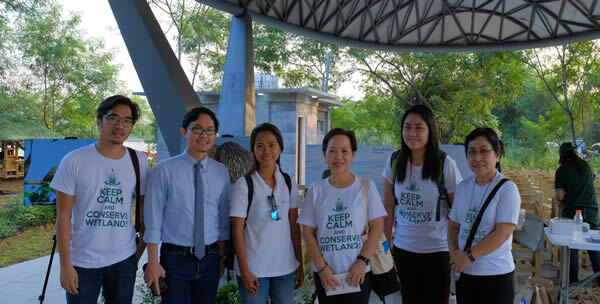 The Villar SIPAG Foundation, Department of Environment and Natural Resources and the Society for the Conservation of Philippine Wetlands were at the site to welcome the delegates. 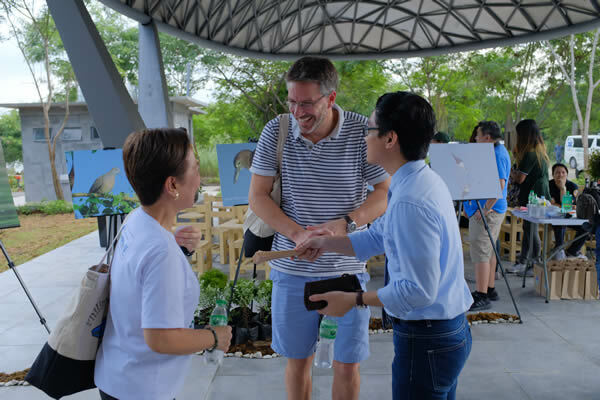 At the newly constructed Visitors Center, Senator Cynthia Villar presented the recent conservation efforts at the wetland park, including the facilities that make visiting the park more exciting and memorable learning experience. 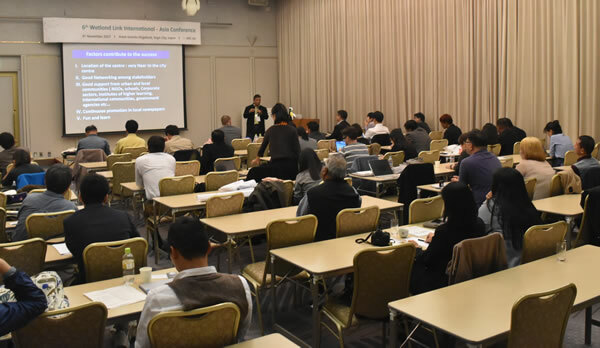 The Twelfth Conference of Parties of the Convention on Migratory Species, which was held at the Philippine International Convention Center in Manila from 23 to 28 October 2017, marked the first time that the COP was held in Asia. With the slogan “Their Future is Our Future – Sustainable Development for Wildlife & People”, the CMS COP placed particular emphasis on the fact that migratory animals provide vital services that satisfy people’s everyday needs – as a source of food and medicine, as pollinators and seed dispersers, and as a means of pest control. The LPPCHEA was established through Proclamation No. 1402. It is a 175-hectare coastal area, containing an abundant collection of mangrove trees serving as important breeding and resting areas for migratory birds, as well as beach and estuarine forest serving as wall protecting the coastal areas of Piñas and Parañaque from storm surges and flooding. 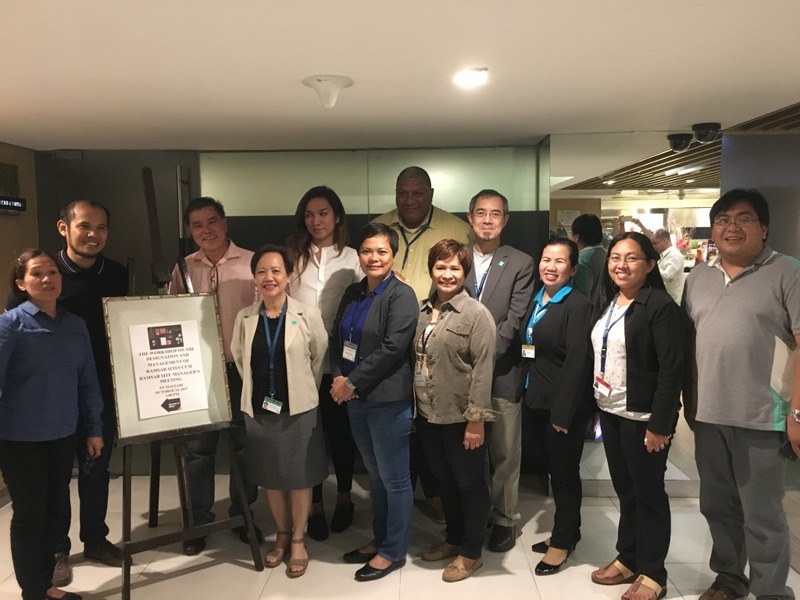 It was also declared a Wetland of International Importance by the Ramsar Convention because of the significant role it plays as a coastal urban wetland and bird sanctuary situated within the Metropolitan Manila. is there next event in this year? If you mean event/s at LPPCHEA, the event organized by the Villar SIPAG is almost regular – nature walk and coastal clean-up (keep in touch with them if you like to join). The SCPW also has activities at LPPCHEA every now and then; we usually post it in our FaceBook page.